Cocoa and Lavender: Happy New Year! It is finally winter in Tucson and, while it is chilly, it doesn’t mean we need to suffer when it comes to finding fresh produce. Or duck, for that matter. I bought a couple of beautiful duck breasts from Top Knot Farms at the Sunday farmers market, where I also picked up some clementines, oranges, a pomegranate, and a Romanesco cauliflower. A very special meal came about from these ingredients. 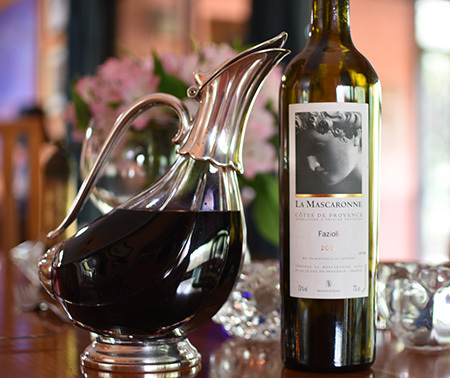 Susan was visiting with her daughter Alex, and this duck seemed like a perfect match for one of the wines they brought (from Provence) as a host gift: a 2014 Fazioli from Château La Mascaronne. You can read about it in my Wine with Food column in the Provence WineZine. 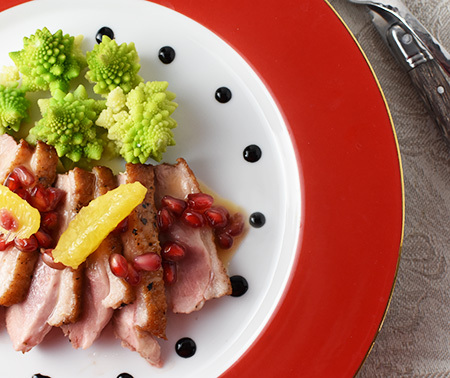 Cooking duck is super easy - it takes just minutes. And there are many sauces that go well with it - fruit, caramel, and wine, to name a few. The seasonal beurre blanc I served was silky with the pop of pomegranate seeds, which also added a lovely contrasting color. Treat yourself this New Year, and give this recipe a try! 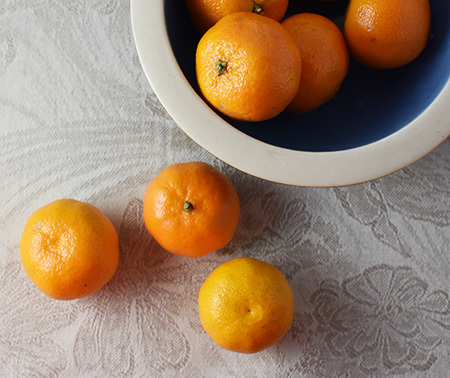 Place clementine juice, lemon juice, wine, and shallot in a small saucepan and bring to a boil. Reduce heat, but keep sauce boiling till reduced to a syrup - about 2-3 tablespoons. Strain the syrup through a sieve into a clean saucepan. Over low heat, whisk in 4 tablespoons chilled butter, 1 tablespoon at a time, to emulsify. Season with a little salt and set aside. Preheat oven to 350°F (180°C). Heat a skillet on the stove top over medium-high heat. When hot, pat the duck breast dry, season on both sides with salt and pepper, and place it in the skillet, skin side down. Don’t be startled if it pops and “dances” a bit in the skillet - that is just excess moisture! Cook for 4-5 minutes, until skin is nicely browned. Turn the duck breast skin-side up, sear on the stove top for 30 seconds, then place in the preheated oven for 5 minutes (for medium rare). Remove the duck form the oven and cover to rest. While the duck is resting, return the sauce to the heat and, when it begins to simmer, add the final 2 tablespoons butter, one at a time, whisking until creamy. 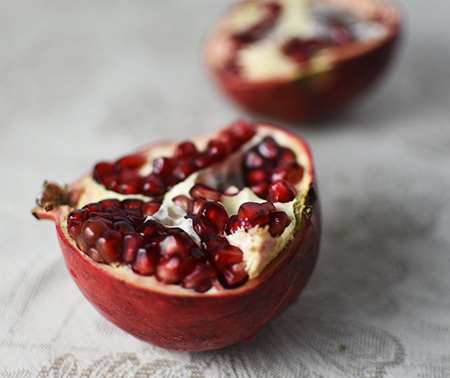 Add the orange segments and pomegranate seeds. 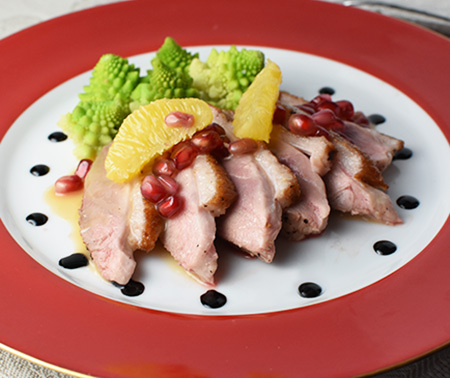 Slice the duck and fan five slices on each of four plates. 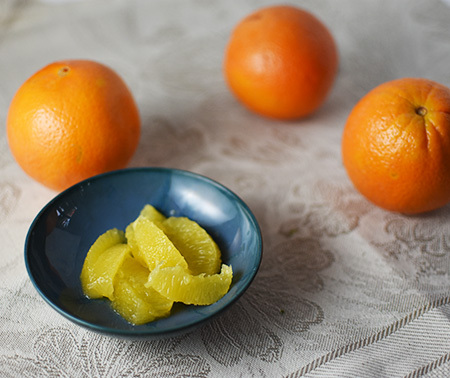 Spoon sauce over top, dividing the orange segments evenly. Place dots of crema di balsamico around the edges - both for decoration, and for flavor! Gourmet cooking at its best. I love all the ingredients. It looks wonderful David. Thanks, Gerlinde! I enjoyed creating this one - duck is one of my favorites! David, what a beautifully cooked duck breast! And those flavors! So many people think duck is supposed to be practically raw, which does not appeal to me at all. Your presentation is perfect. I appreciate that, Jean! I do believe there is a happy medium between raw and over cooked, especially with duck breast! Too under cooked and it’s rubbery, over cooked and it’s like sawdust! Hello David, I enjoy your blog, recipes, and thoughtful insights so much. I'm just wondering about the cauliflower--I'm not a fan of cauliflower, and was wondering if this version tastes different than the ubiquitous white version... ?? Hi Julie! Your comment made my day! That is a great question for those who have never had Romanesco broccoli. Technically, it is a broccoli, but it tastes somewhat between broccoli and cauliflower. It is sweeter, to me, than either. Let me know if you try it, and what you think! Happy New Year! Well color me embarrassed--I thought it wasa cauliflower! LOL I wish I did like it so I could have riced and mashed cauli instead of spuds but...bleh. I do like broccoli, but it is tough on my GI. I had WLS and woody vegetables don't sit well. I supposed I could steam or roast the heck out of it...lol I'm curious enough to try. Thanks for setting me straight! What a nice way of putting it, Greg! I was eyeing off some duck breasts at the supermarket the other day, but got distracted and didn't pick them up. This would be a lovely dinner as we endure this heat in Sydney. 40°C! (104°F). Although I am keeping cool in our air-con! When you mentioned caramel as a potential sauce with duck, you reminded me of the duck breast with salted caramel sauce at Alta Restaurant in Lenox MA many years ago. Loved that town! Wow, it sounds like summer in Tucson! Is that unusually hot for Sydney? Yeah, there is no way we could survive with the AC! That salted caramel duck was amazing at Alta... I am so glad you wrote about it so we knew to go have it! This looks totally amazing! I will have to keep an eye out for duck breast so I can give this a shot sometime. If you have Whole Foods, Caroline, they have great duck breasts! Glad to see that you cooked the duck breast pink- a lot of people overcook it! I never heard of Romanesco broccoli- it looks exotic and would dress up any plate. Happy New Year! Fran - Romanesco broccoli was first documented in Italy - it is so beautiful; I just saw that is is also called cauliflower... either way, it is sweet and tender and good for us! Happy New Year! Thanks, Cheri - I feel we were the lucky ones to have them come visit! Such a great, modern looking plate of delicious food! 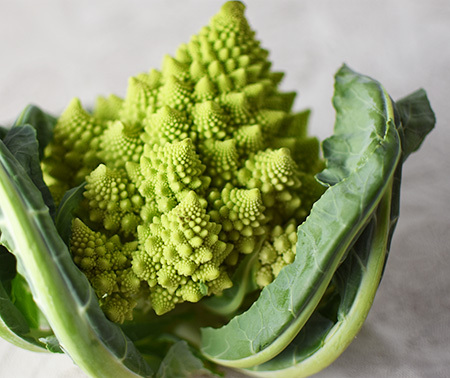 I am fascinated by Romanesco -- those geometric shapes are so cool! Fantastic meal! 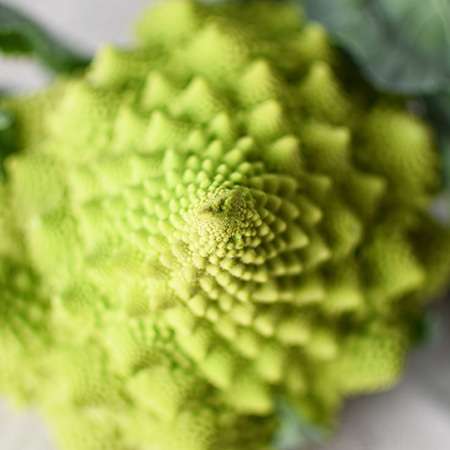 I know what you mean about the Romanesco, Valentina - it is so beautiful that I don't even care if it tastes good (it does!). This is so full of fresh ingredients and flavours! It sounds delicious. Thanks, Caroline! It was a pretty tasty combination! Stefano - I will often cook with the skin and remove it before serving. One of the nice things about duck in Arizona is that it’s skin is thinner because it doesn’t need to protect itself from the cold. I love cutting suprèmes - and have never heard of pectinase. How does that work? Wow - I just watched the ChefSteps video. That is really cool. I can't believe I have never heard of this before. Thanks for the info, Stefano! True story: Evan just said "we should try some duck sometime" over the past weekend! I'm so happy to have this recipe to refer to when we find some. 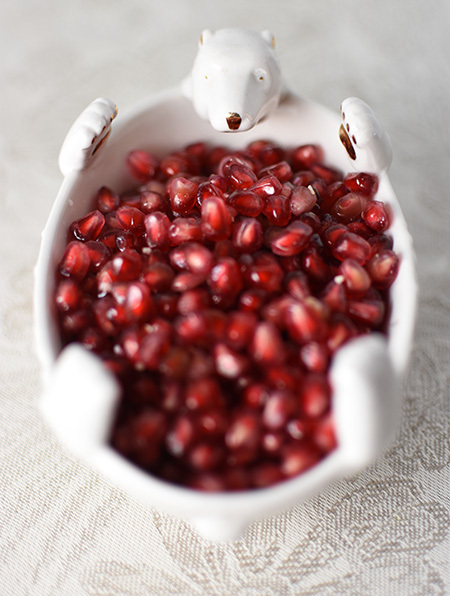 I've been loving pomegranate seeds lately too. What a beautiful meal, David! 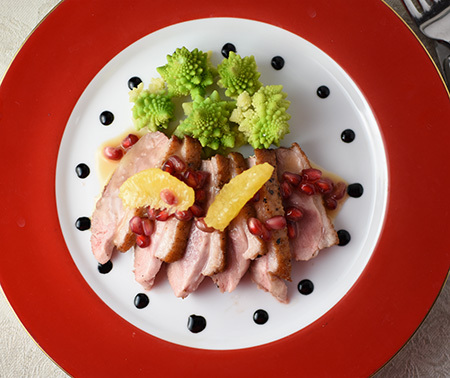 Marcelle - Duck breast is definitely the easiest way to go when trying duck for the first time! I hope you and Evan get to try this soon! Sounds spectacular -- and your plating is gorgeous! Thanks, Inger - I am a believe that we eat with our eyes, as well as nose and tastebuds!